PanARMENIAN.Net - Filmmaker Ryan Murphy has assembled quite the cast for his Nurse Ratched series at Netflix, and Armenian-American producer Aleen Keshishian is among the show's Executive Producers, Variety reveals. Nurse Ratched is a fictional character and the main antagonist of Ken Kesey's 1962 novel "One Flew Over the Cuckoo's Nest" as well as the 1975 film of the same name. Murphy announced that Sharon Stone, Finn Wittrock, Jon Jon Briones, Charlie Carver, Judy Davis, Harriet Harris, Cynthia Nixon, Hunter Parrish, Amanda Plummer, and Corey Stoll will all star in the series alongside the previously announced star Sarah Paulson. 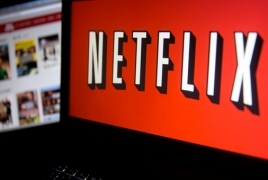 Netflix has given the series a two-season, 18 episode commitment to “Ratched”. It begins in 1947 and will track Ratched as she morphs from an average nurse into the monstrous authority figure she became in the Ken Kesey novel “One Flew Over the Cuckoo’s Nest” and subsequent film. Paulson will star as the infamous nurse, with Murphy attached as executive producer. Along with Murphy, Michael Douglas, who produced the film, will also serve as an executive producer. Keshishian, Margaret Riley and Jacob Epstein of Lighthouse Management & Media will also executive produce. Evan Romansky, who created and wrote the project, will co-executive produce.